don't get caught: Holiday awareness bloat: Are you serving it to reporters? Holiday awareness bloat: Are you serving it to reporters? 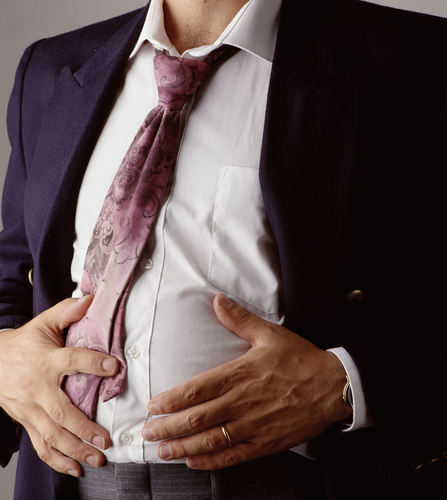 You know that overstuffed, bloated feeling you get after the big holiday meal? That "I can't stand another bite of food or I'll be sick" feeling? Good. Then you'll have something in common with reporters on the other end of your (and others') pitches to cover all those special holidays. You know what I mean: The more than 12,000 special days, weeks and months your organization, industry or other group has sponsored to generate awareness for your organization. It's a PR idea that has worked not wisely, but too well. Consider the day after Thanksgiving, which you thought was just "Black Friday," the big shopping day. But no, it's also Islamic New Year, Saint Catherine's Day, the International Day for the Elimination of Violence Against Women, Buy Nothing Day, Family Day (in Nevada), Maize Day, National Flossing Day, Sinkie Day and (I am not making this up) You're Welcomegiving Day. NPR reporter Scott Hensley tweeted earlier this month "Has anybody put together a calendar of the days/weeks/month/years of disease awareness?" That would be Chase's Calendar of Events, which offers the 12,000 count for all holidays. His advice to PR people: "look at the awareness bloat to understand why the peg doesn't work so well anymore." That's especially true if, on your special day, there are other holidays in the same subject-matter category, like disease awareness or food or sports. In my experience working for many fine organizations, those anniversary/holiday days, weeks or months are in the same communications boat as awards: They sound like a fine idea to your organization's executives or members who want to "raise awareness," but don't meet the bar for reporters. The best a communicator can do is urge that the celebrations' goals are primarily internal, as a rallying point for members, employees, customers or volunteers, rather than as a media blitz. Feel free to use Chase's as a guide: If your special holiday is concurrent with a dozen other worthies, or (as did National Chemistry Week when I worked for the chemists' professional society) conflicts with an overwhelming news event like national elections, start reframing those expectations now. You and the reporters covering you will both heave a sigh of relief.